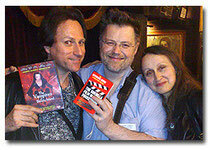 Guerilla Film Makers Pocket Book Launch A Success, and SUS Tops The Box Office Thanks To YOUR SUPPORT! I can’t confirm it right now as I am not currently in my office, but I believe we are sold out of ALL 200 signed copies of The Guerilla Film Makers Pocketbook. It’s no surprise really as we actually sold nearly 100 at the book launch last week. You can see our shenanigans in the video below which was shot by multi talented Oli Lewington. 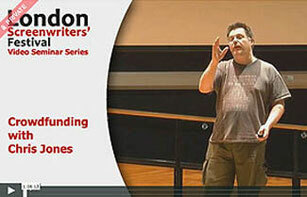 If you missed it, there is a chunk of the book to download here, featuring editor Eddie Hamilton. Continuum (our publishers) also made the first 50 pages available here too. So you really can get a sense of the MASSIVE amount of film makers information in the book, and you can pack all of that comfortably into your back pocket. It really does fit. We promise! 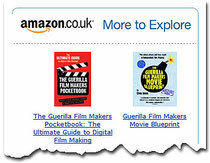 Over the weekend, I was rather amused to get an email from Amazon recommending that I buy the new pocketbook, as well as the ‘absolute step by step guide to making your first feature film’ book that I also wrote, the Guerilla Film Makers Movie Blueprint (check out reviews on Amazon here). Back to the book launch. On the evening, I was particularly excited as my old pal, Mark Sutherland, production designer, producer, kitchen builder and roofer, was able to attend and share his experiences on his first feature film ‘SUS’, released in UK cinemas this weekend. I was also delighted to hear that because of our BIG push at the launch, the film was so successful in central London that it was held over for a second week. AWESOME! WHAT A RESULT! So thank you if you went to see it, and if you didn’t, GO THIS WEEKEND and take two friends! It’s called SUS and their website is here. I am sure you will agree from the video, Mark is a passionate and inspirational speaker, and we have just confirmed that he will be in the ‘Production Office’ with us on Thursday night for the LIVE show, to tell us all about how me got this microbudget feature into UK cinemas. So remember to tune in for fun and games, and all LIVE from ‘The Production Office’. 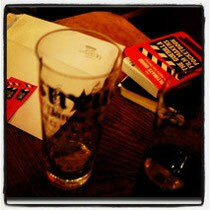 Just got to tell you what a great time we had at the Guerilla Film Makers Pocket Book launch on Thursday night. Honestly, the most fun we've had in a dark, over-priced, Soho cellar that we can ever talk about in public! What a fascinating group of people were crammed in to that tiny space, from the idly curious, to people planning their first shoot, to people such as ourselves who have been there, done that and got the crew T-shirt! We came out of it with a huge pile of business cards, contacts and email addresses from the hoi-pilloi of indie film makers, renewed acquaintences with people we hadn't seen for years, met for the first time people we've been emailing and facebooking for ages, and even sold several DVDs of 'The Vampires of Bloody Island' – something we didn't expect to do, as micro-budget film makers are notorious for not actually ever buying anything!